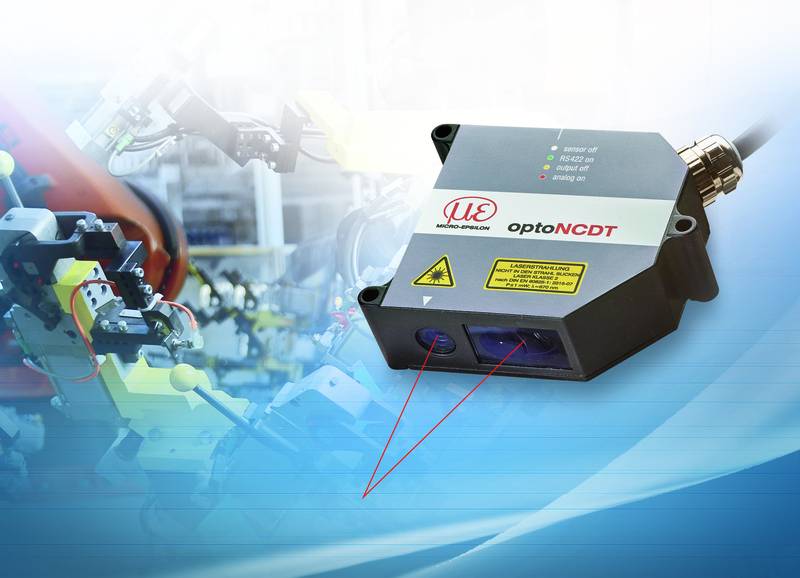 The compact optoNCDT 1750 laser sensor designed for displacement and distance measurements offers new features combined with robustness and reliability. Based on an innovative web interface, the new laser sensor stands out due to its ease of use and intuitive commissioning using presets for different surface types and colors. optoNCDT 1750 laser sensors measure displacement, distance and position in numerous industries such as automation technology, electronics production, automotive and machine building. The compact, industrial and universal model comes with numerous new features that provide precision measurements based on a high measuring rate. The laser-optical measurement system operates almost regardless of any material and color due to the real time surface compensation feature. The new web interface simplifies set up and configuration without requiring any additional operating software. Presets are available for numerous materials such as metals, plastics and organic materials. This enables rapid, straightforward and optimized sensor operation. The measuring rate is continuously adjustable up to 7.5kHz and can be individually adapted to the respective measurement task. Peak selection and suppression of interference peaks enable reliable measurements on oily components in the construction of engines and transmissions as well as on coated materials, measurement objects behind glass or on film-sealed components. Data output is analog or digital via an RS422 interface. Furthermore, the optoNCDT 1750 provides two switching outputs and one output to control different functions. The combination of enhanced performance and a wide range of features result in a sensor that takes a leading role in its class. Due to its compact design with integral controller, the optoNCDT 1750 is extremely versatile in terms of its potential fields of application, while simplifying installation into restricted spaces.